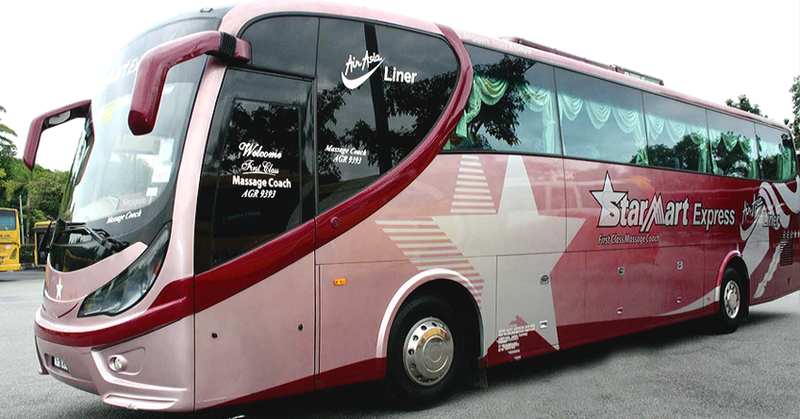 Since humble beginnings in 1989, Starmart Express & Tours has dedicated its express bus services to travelers in Malaysia and Singapore. In search to enhance and improve, they have provided a wide range of affordable tour packages, visa application, air ticketing tour and hotel reservation services in areas in which they operate. Ever since day one, the company has served up to millions of commutes and still continue to grow. Today, they stand among the heavyweights in both the Malaysian and Singaporean bus industry. Starmart Express runs predominantly a 27 seater coach. These coaches are fully air conditioned with ample legroom and reclinable features which amplifies an already comfortable experience. Apart from that, they provide generous amount of luggage space for those bulky luggage. Based in Taiping, Perak, the company operates daily express bus service from Taiping to Kuala Lumpur, Singapore, Genting Highlands, and other places. One of their top selling route is from Melaka to KLIA2 which observes their buses depart from Melaka Sentral to the famous KLIA2. This journey usually takes an approximate time of 3 hours from the time of departure till arrival. Address: No. 10, Jalan Medan Simpang, Medan Simpang, 34700 Simpang, Taiping. Address: 6001, Beach Road #01-47, Golden Mile Tower, Singapore 199589. Bus travels have moved from physical ticketing counters to online bus bookings. Begin your journey with Starmart Express on CatchThatBus - the faster and easier way to a smooth bus travel experience. Visit our website or mobile app on Google Play or App Store and book your bus tickets today! Driver was playing with his phone the whole trip during a night travel. Have some courtesy to inform your customers when you change the timing. I missed my bus. Had to purchase another ticket back home. Best bus ride i've been on for the price you pay. nice journey from KL to Singapore. comfortable seats with leg rest. driver brakes too hard throughout the trip though.